The 2.0 Performance Series IFP smooth body shocks contain the latest in shock technology to transform the performance of your Truck or SUV. They use our race-proven damping control to provide a comfortable on-road ride and predictable offroad handling in even the toughest conditions. The precision metal impact aluminum body increases cooling capacity and will never rust. Inside you will find our race-proven performance valving technology Our Internal Floating Piston (IFP) mono-tube design separates the shock oil from the high-pressure, nitrogen-charged gas chamber. The IFP eliminates oil aeration allowing maximum performance from the factory-tuned precision valving. 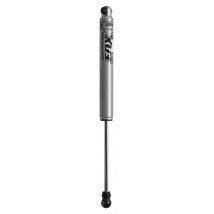 The race developed high flow damping piston matched with application specific valving provides the 2.0 Performance Series IFP shock a predicable ride quality capable of handling the roughest road conditions.